This blog post by Jennifer Sarrett was originally featured on The Neuroethics Blog. Jennifer C. Sarrett started working with people on the autism spectrum in 1999 in Athens, GA while getting her B.S. in Psychology. In 2005, she completed her M.Ed. in Early Childhood Special Education with a focus on autism from Vanderbilt University. She is currently a fifth year doctoral student in Emory University’s Graduate Institute of Liberal Arts working on her dissertation which compares parental and professional experiences of autism in Atlanta, GA and Kerala, India as well as the ethical issues the arise when engaging in international, autism-related work. 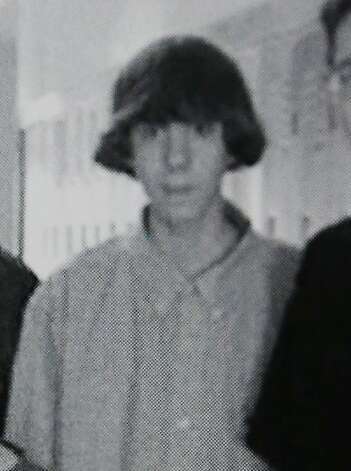 On Friday, December 14th 2012, the country learned of the mass shooting of 5- and 6-year-old children and several adults in Newtown, CT. By the end of the day, we learned that Adam Lanza, the perpetrator of the heinous act, may be autistic. Although we now know that this is not the case, it has spurred conversations about the link between autism and violence. This mental illness guessing-game has become the norm in the wake of such tragedies. Jared Loughner and James Holmes may have been schizophrenic; Sueng-Hi Cho may have been depressed, anxious, and also possibly autistic; Eric Harris and Dylan Klebold may have been depressed and/or psychopathic. These speculations are understandable – the public yearns to understand the motives behind such acts and recognizes that good mental health and mass shootings are never coupled–however, the way these representations are presented to the community create stigma and blames others with similar disabilities. Neuroethics Spring/Summer School in Zurich! Progress in understanding the human brain poses various ethical problems: How can neuroscientific research with animals and humans be conducted in a responsible way? What are the practical con-sequences of increasing insights on neurobiological causes for behavioral disorders? Should we use neuroscientific knowledge to enhance our brains and minds? Does neuroscientific research on hu-man moral behavior change our understanding of ethics? These are some of the questions Neuroeth-ics deals with. In the Zurich Spring & Summer School students will get an overview, insights and com-petences in this emerging field. The Zurich Spring and Summer School in Neuroethics are two coupled events. In the Spring School (April 2nd to 5th 2013), students will get an introduction in the field by a leading international expert, Judy Illes, together with a teaching team of researchers working in neuroethics. In addition, students will participate in a workshop, where neuroscientific researchers from various fields present and discuss ethical issues of their work. In the Summer School (June 3rd to 7th 2013), the students will expand their expertise in various site visits and meet leading researchers of the Neuroscience Center Zurich, the joint competence center of ETH and University of Zurich unifying 800 neuroscientists. The students are encouraged to summarize their findings and insights gathered during the spring and summer school for poster contributions to the 2013 International Neuroethics Society Meeting. All students with interests in neuroethics are invited to apply for the Zurich Spring and Summer School in Neuroethics, preference will be given to PhD students working in fields related to neuroscience, neurology, psychiatry and/or ethics of the Universities Basel and Zurich. It is expected, but not mandatory, that students participate in both schools. A total of 15 to 20 students are envisaged to form the school, no fees apply. The School is part of the PhD Program in Biomedical Ethics and Law of the Universities Basel and Zurich. Please send your application (CV and a short letter of motivation) both to Laura Cabrera (laura.cabrera@unibas.ch) and Markus Christen (christen@ethik.uzh.ch). What are the different ways that the humanities and social sciences, scientific research, and community organizations are beginning to explore how multiple social identities–such as race, disability, gender, sexuality, and social class–shape human bodies and human experience? How can a focus on the intersections of social identity help us understand and influence the social, political, and economic structures in which we live?